What many are calling the worst admissions scandal in higher education emerged Tuesday, with federal authorities announcing 50 indictments  in a scheme that allegedly involved faux athletes, coaches who could be bribed, cheating on the SAT and ACT, million-dollar bribes and "guarantees" that certain applicants would be admitted to highly competitive colleges. By the end of Tuesday, several coaches had lost their jobs (oddly, not for helping athletes, but for helping nonathletes) and some politicians were calling for investigations of college admissions. Meanwhile a broader debate has been renewed about the many advantages that wealthy families have -- advantages that are legal. And advocates for black and Latino students were quick to note that just as a lawsuit against Harvard University could endanger many colleges' affirmative action plans, fresh evidence has arrived that college admissions is far from a meritocracy. The investigation was dubbed "Operation Varsity Blues" by the Federal Bureau of Investigation. Felicity Huffman and Lori Loughlin, both actresses, were among the wealthy parents indicted. Others may not be as well-known nationally but are leaders in business , law  and other fields. The indictments include charges of conspiracies related to racketeering, wire fraud and more. In some cases, coaches were bribed to place on their lists of recruited athletes the names of nonathletes whose parents allegedly paid bribes. (While competitive colleges don't much like to talk about it, those on such lists have a far better chance than other applicants do of being admitted.) In other cases, authorities say that parents arranged for their students to cheat on the SAT or ACT, in part with the help of bribed proctors. The institutions involved include Georgetown, Stanford, Wake Forest and Yale Universities, the University of Southern California, and the University of Texas at Austin. At a briefing on the indictments Tuesday, Andrew Lelling, a U.S. attorney for Massachusetts, said that some parents paid up to $6.5 million "to guarantee admission" for their children to elite colleges. He said a total of 33 parents have been charged. “There will not be a separate admissions system for the wealthy. And there will not be a separate criminal justice system, either," Lelling said. The documents released by the U.S. attorney stunned many with their detail, obtained through wiretaps. Parents discussed how they would create false athletic profiles for their children. 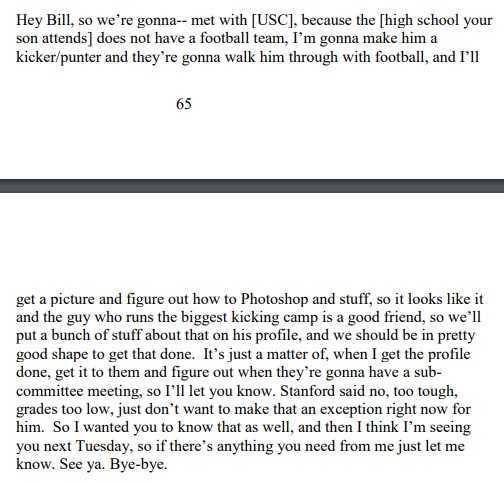 In another excerpt from the documents released Tuesday, parents are quoted on their cover stories in case they get caught. The alleged ringleader in the case (who is pleading guilty to numerous charges) is William (Rick) Singer, who coordinated the various bribes -- to coaches, proctors and others. He ran a private counseling company called the Edge College & Career Network (also known as "the Key") and a related foundation that authorities said was used to hide money used for bribes. The general pattern in many of the charges appears to be helping nonathletes gain the benefits of being admitted as athletes. For example, one of those indicted today is John Vandemoer (at left), who is Stanford's sailing coach, and was Tuesday morning listed in that position on the team's website (although not by the end of the day). He is charged as participating in a racketeering conspiracy with a business that provides help to those seeking college admission. The conspiracy, according to the indictment, was designed to enrich those involved, including Vandemoer. According to the indictment, the various parties worked at "designating applicants as purported recruits for competitive college athletic teams, including the Stanford sailing team, without regard for the applicants' athletic abilities, in exchange for bribes" and engaged in "concealing the nature and source of the bribe payments." In one case discussed in the indictment, $110,000 was paid to Stanford sailing accounts in return for a false designation that someone was outstanding at sailing. The allegations also extend to cheating on the SAT and the ACT. According to the indictments, those involved in the conspiracy encouraged students they were being paid to help to file papers with ACT or the College Board saying that they had learning disabilities. When they received permission to take the test under special circumstances (typically with extra time), these applicants were told to use one of two testing centers that one of the defendants said he could "control." Those taking the tests were then told to come up with fake reasons, such as a family wedding, for needing to take the exam in one of these centers, which were far from their homes. Bribes were then allegedly given to have others take the tests. In other cases, the federal documents say, a third party served as "a purported proctor for the exams while providing students with the correct answers, or to review and correct the students’ answers after they completed the exams." A sad detail in the materials released today: "In many instances, the students taking the exams were unaware that their parents had arranged for this cheating." Felicity Huffman (at right), the actress, is among those charged with such cheating on behalf of her oldest daughter. The indictment charges that Huffman considered doing the same for a younger daughter but opted out. The other actress indicted today -- Lori Loughlin -- is charged (together with her husband) with paying $500,000 to have her two daughters designated as recruits to the University of Southern California crew team, even though the indictment says neither daughter rowed. The indictment details how the couple was advised that their older daughter was on the "lower end" of USC's admissions standards, and that they then agreed to the bribery scheme. An email from Mossimo Giannulli, Loughlin's husband, to one of those involved in the alleged bribery includes the line "I’d like to maybe sit with you after your session with the girls as I have some concerns and want to fully understand the game plan and make sure we have a road map for success as it relates to [our daughter] and getting her into a school other than ASU!" As shocking as the indictments are, the concept described was already the subject of a federal indictment in July. 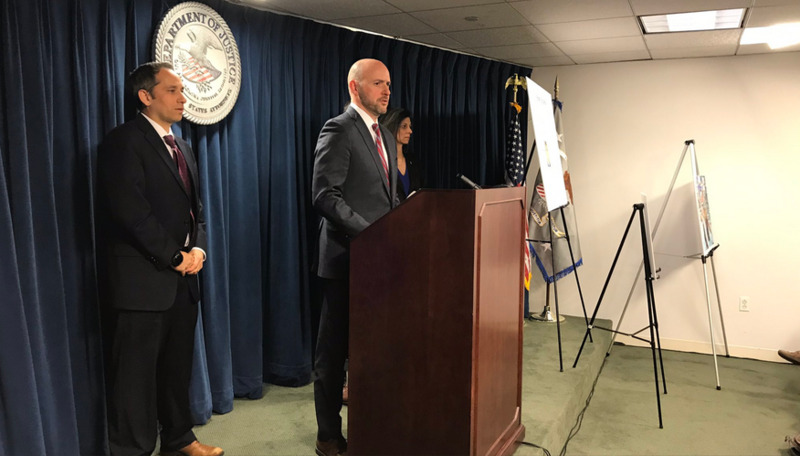 Philip Esformes is a Florida business executive facing numerous federal charges of Medicare fraud related to the nursing homes and assisted-living centers he has owned. In July, he was charged with bribing a basketball coach at the University of Pennsylvania to help get Esformes's son admitted to Penn. The indictment said that Esformes paid $74,000 in cash. While the son did play basketball in high school and was admitted to Penn, he never played on the team there. The coach is Jerome Allen , who led the Penn program for six years and is now an assistant coach of the Boston Celtics. A Penn spokesman said Tuesday that a university investigation into the allegations is ongoing. And there have been other scandals pointing to the ability of the wealthy or powerful to gain admission over others. A 2009 series in the Chicago Tribune called "Clout Goes to College " exposed how the University of Illinois essentially has a separate tier for consideration of the politically connected, letting in some people with questionable academic credentials. Coaches Are Out of Jobs. What About the Students? By Tuesday afternoon, universities involved had issued statements saying they didn't know what was going on, were working closely with those investigating and were launching their own investigations, and coaches named were no longer on the job. Stanford  said that its sailing coach had been "terminated." Yale  said "the Department of Justice believes that Yale’s Office of Undergraduate Admissions has been the victim of a crime perpetrated by its women’s soccer coach, who is no longer at the university." The University of Southern California said that two of its employees "have been terminated" and that "USC is in the process of identifying any funds received by the university in connection with this alleged scheme." 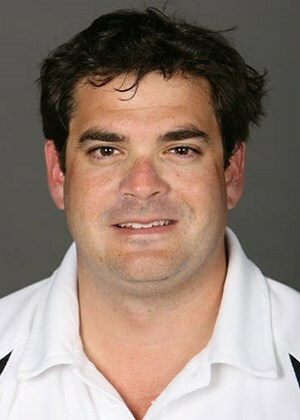 The University of Texas at Austin said that its men's tennis coach was placed on leave. Wake Forest announced its volleyball coach had been placed on leave. The university statements did not focus on any possible actions against students admitted through the frauds alleged in the indictments. While the information provided by authorities said that some students may not have known, it may seem hard to believe some of the activities were not apparent to some of the beneficiaries of the scheme. Some students may not have enrolled at the colleges their parents allegedly tried to scheme against. Stanford's statement said that "neither student [mentioned in the indictments] came to Stanford; one student was initially denied admission and intended to reapply but never did, and the second never completed an application." David Hawkins, executive director for educational content and policy at the National Association for College Admission Counseling, said via email, "Ultimately, each institution will have to follow their own protocols. In cases where students were unaware of or not involved in the activities in question, it’s likely that the institutions’ administrations will want to reach out to the student to brief them on their status at the university, and offer supports or other accommodations that are necessary to ensure that they are able to focus on their studies. Given that this is such a public and high-profile scandal, the institutions may also engage in campuswide communication to ensure that the student body understands the institution’s response to the incident." In many of the cases discussed in the indictments, parents working with Singer appear to have engaged in all kinds of violations of the rules of standardized tests: lying to get certified as someone with learning disabilities, lying to justify taking tests at certain testing centers, and bribing proctors. Both the College Board and ACT said that the indictments showed that this type of alleged wrongdoing will be found out and punished. Both said that they were cooperating with the federal investigation. A statement from the College Board said, "Today’s arrests resulting from an investigation conducted by the U.S. Attorney’s Office in Massachusetts send a clear message that those who facilitate cheating on the SAT -- regardless of their income or status -- will be held accountable. The College Board has a comprehensive, robust approach to combat cheating, and we work closely with law enforcement as part of those efforts. We will always take all necessary steps to ensure a level playing field for the overwhelming majority of test takers who are honest and play by the rules." A statement from ACT said, "ACT contracts with thousands of people to locally administer the ACT around the country. These individuals certify to follow ACT's policies and procedures to administer the ACT test. In these cases, the two charged individuals allegedly did not follow ACT's rules. ACT is committed to ensuring that all students have an equal opportunity to demonstrate what they’ve learned in school through their hard work. No student should have an unfair advantage over any other. The integrity of the ACT scores that we send to colleges and scholarship agencies is of critical importance to students and their parents. ACT works hard to ensure that the ACT scores we report to colleges are fairly earned." Many admissions leaders said that they were both stunned by the allegations and concerned that they represented an extreme of trends they have been watching with concern. Some counselors said that they too have been approached about schemes such as those outlined in the indictment. "As a company, we have been approached by families who would like to explore 'alternative routes' to admissions and who have explicitly offered similar monetary amounts to the families involved in this current scandal," said a statement from InGenius Prep. "While this doesn’t happen often, the position we always take is that this is not how we conduct business or how we educate our students and families. It’s incredibly concerning that others in our industry would accept these offers." Many admissions officers said that they worried about the impact of the scandal on the reputation of higher education and on the reputations of admitted applicants who have learning disabilities or who are (real) recruited athletes. Michael Reilly, executive director of the American Association of Collegiate Registrars and Admissions Officers, sent a message to members Tuesday afternoon. "This behavior compromises the integrity of college admissions and reinforces stereotypes that people of privilege can circumvent the rules," Reilly said. "It undermines public confidence in our institutions. In light of this development, we encourage our member institutions to review all of their admissions processes, including those related to student athletes, to ensure that they are transparent, fair and abide by the long-standing ethical expectations of our profession." Jim Jump, the academic dean and director of college counseling at St. Christopher's School in Richmond, Va., and Inside Higher Ed's "Ethical College Admissions" columnist, said via email, "What I find most sad is that some of the kids involved were not aware of the test fraud or the recruiting fraud. The college process tests a parent's basic beliefs about college, about parenting and about your child, and it's clear that these folks don't trust any of them. I'm even more troubled by the hidden assumptions -- that going to a certain kind of college is so important that anything goes. The emphasis on application numbers and admit rates is partly responsible for public panic over admission, which plays out in this mess." The indictments focused on violations of the law. But to many observers, the controversy was an opportune time to note all the advantages wealthy applicants have that don't violate any laws. They attend, on average, better high schools. Their parents hire private counselors and testing tutors and essay tutors and more. Wealthy applicants can apply early and not worry about financial aid packages. Wealthy applicants can apply to institutions that are not need blind and know that they have a better shot of admission than a student who needs aid. Those who have legacy status have additional advantages. As Tuesday's news spread, many people started to talk about those issues. The headline in New York magazine: "All College Admissions Are a Pay-to-Play Scandal ." An essay in Vox (by an alumna of Inside Higher Ed) featured the headline "The Real College Admissions Scandal Is What’s Legal ." Groups that back affirmative action and don't want the courts to limit the ability of colleges to consider race in admissions noted the irony that they face legal scrutiny, while wealthy applicants (generally white) have been rigging the system. A statement released by Kristen Clarke, president and executive director of the Lawyers' Committee for Civil Rights Under Law, said, "These disturbing allegations about the extent to which parents, coaches and administrators may have used their wealth, power and privilege to game the college admissions process is a reminder of how essential it is for us to ensure equity and opportunity in higher education. We demand greater accountability and transparency in the admissions process on behalf of the thousands of exceptional applicants of color who seek admission to our colleges and universities each year and yet have their qualifications called into question as the result of race-conscious admissions. This is a moment which calls for our institutions of higher learning to review their admissions processes, expose fraudulent practices and commit to addressing the various ways in which privilege and bias have unfairly infected admissions determinations for far too long." Akil Bello is co-founder of Bell Curves, which provides test prep and counseling to low-income students who can't afford other services. In an interview, he said he worried about the focus on celebrities being indicted, rather than on systemic issues. "We should ask ourselves not about Felicity Huffman, but rather what do these individuals suggest about the abuses ongoing in the educational system and how many people are committing the same crimes either better or on smaller scale and getting away with it?" Bello said via email. Added Bello, "These individuals were able to use their vast discretionary capital to exploit the admissions system on every level. It wasn't enough to have greater knowledge of the system, more access to support, consistent access to expertise and multiple accommodations -- they felt they needed to criminally guarantee advantage. This creates a trickle-down effect in which your level of wealth and social capital will determine where you are admitted to college. This goes a long way towards exposing the lie that is meritocracy in American higher education. These families who started on third base decided to steal home and pay off the refs to ensure that they beat the tag. The long and short of this story might be that again in American society we have an example of how the wealthy use their income to hoard opportunity and power while concurrently espousing 'American values' of fairness, democracy and merit."